Go to Webmaster's panel and enter settings of a chosen website. Select "users". In a new window add a new CMS user. Enter his e-mail address, set a password and edition level. More about edition levels read here. 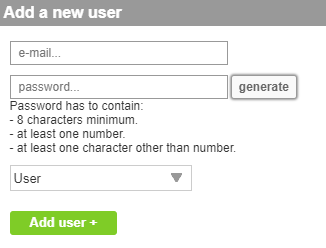 The new CMS user will be able to change his password set by you after signing in to CMS panel.